The Earth's surface is the only part of the planet we can directly observe. 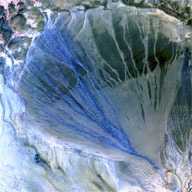 Thus, geomorphology is essential in that it allows students to translate what they see on the landscape into the processes at work. Surficial processes can take place over miles or millimeters, and vary temporally from seconds to millenia. Thus geomorphic thinking is an important component of training students to see the earth through the lens of a geoscientist. 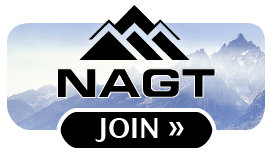 This site provides resources for designing or augmenting an undergraduate geomorphology course with an eye to new pedagogic methods, high-quality teaching activities, and current research into what works in the classroom. Learn more about setting effective course goals in the Course Design Tutorial. You can also explore course goals from others' Geophysics courses using the syllabi available in the course collection. Geomorphology courses require and help students build a variety of observational skills, quantitative skills and critical thinking abilities. In addition to those listed below, a selection of pedagogies that lend themselves to skill development can be found in the Teaching Methods area. Teaching Geomorphology in the Field: A number of workshop presenters and participants have shared their expertise in teaching geomorphology with and through field work. Here, you can benefit from their experiences and learn from their presentations, essays, and teaching activities. Teaching with Google Earth: What better way to quickly explore Earth's surface than to seamlessly transport students anywhere on the planet? This module is packed with information for educators and contains over 30 examples of activities using Google Earth. Teaching with GIS in the Geosciences: This module provides pedagogic grounding, techniques, and examples for analyzing spatial data in the classroom. Course descriptions including course learning goals, syllabi, and supporting information. Teaching activities including classroom activities, lab exercises, problem sets, and more. Geomorphology vignettes are stand-alone, illustrated electronic essays that teach about geomorphology, surface processes, or Quaternary history. They allow faculty to customize the learning resources they offer students to enrich and personalize student learning experiences. 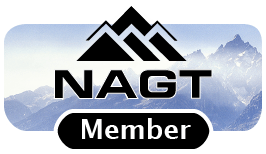 Visualization collections of animations, videos, and images for teaching 21 different topics in geomorphology. Additional resources: Useful websites and resources recommended by faculty who teach about geomorphology. River Geomorphology Videos: The folks at Little River Research and Design have put together a number of videos showing different geomorphic processes at work in river systems. They have made these videos available for use in the classroom along with short descriptions of what processes are occurring in the video and suggestions for how to use them in the classroom. Geophysical Instrument Registry: This is a directory of geophysical instruments available for use on research projects or for student work. You can add your instrument to the registry, or search for instruments. Geochemical Instrumentation and Analysis: This module from Integrating Research and Education provides an on-line tutorial of the analytical techniques commonly used to characterize geological materials. The goal is to help novices (such as students or scientists working out of their field) to gain an understanding of mineralogical, petrological and geochemical analytical techniques. Our Analytical Instrument Database provides a browseable list of institutions who are willing to provide access to their analytical instrumentation for researchers, lab managers, instructors and students looking to gain access to analytical instruments such as SEM, electron microbeam, x-ray diffraction, x-ray fluorescence and more. The data base provides contact and terms-of-use policies. You can also add your equipment to the data base. Ideas for Teaching: Water and Ice on Mars contains a series of ideas for exploring the geomorphology of Mars in undergraduate courses. 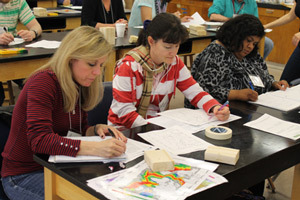 This workshop will bring together faculty who teach courses in sedimentary geology, geomorphology, paleontology, marine geology, and paleoclimatology to address questions of how to teach these disciplines most effectively at the undergraduate level. 2013 Teaching Hydrogeology, Soils, and Low-T Geochemistry in the 21st Century: This workshop will bring together faculty who teach courses in hydrogeology, soils, low-T geochemistry, biogeochemistry, and upper level environmental geoscience to address questions of how to teach these disciplines most effectively at the undergraduate level. Application Deadline is February 15, 2013. 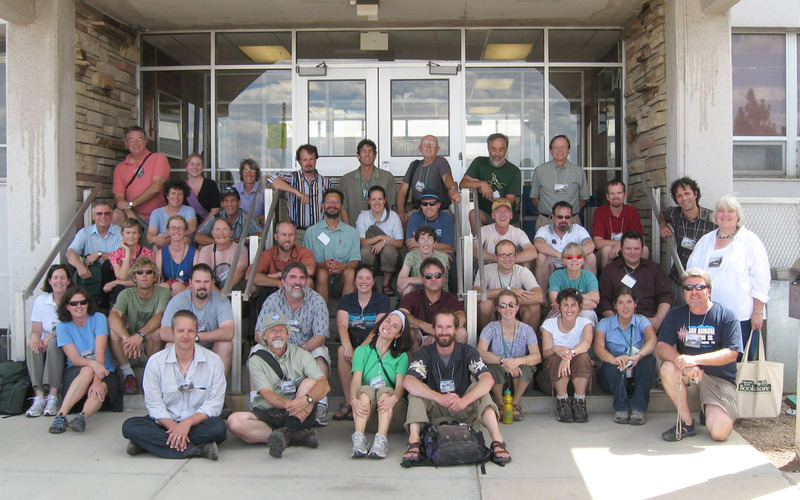 This workshop was held July 28-August 1, 2008 and took place at Colorado State University in Fort Collins, Colorado. The workshop program contains links to all workshop presentations. Contribute Materials: We encourage faculty to contribute course descriptions, teaching activities, and other materials to continue to build our collections.